They are as enchanting as any bauble on a Christmas tree: the shine, the vibrant orange colour and occasionally the contrast of green leaves. 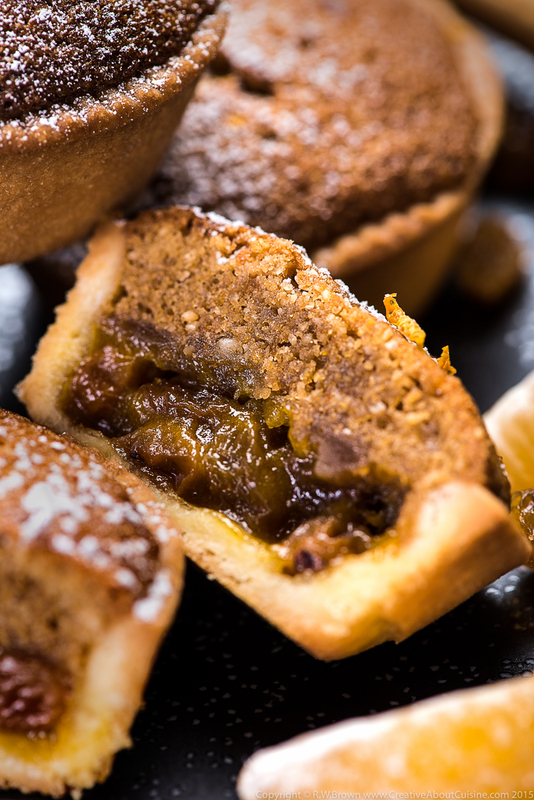 The clementine is, in my mind, inextricably linked with the festive season. Citrus fruit is something we use all year round but it comes into its peak in the winter months with a whole array of different varieties. Wikipedia lists fifty, from Armatsu to Yuzu, taking in Buddha’s Hand, finger limes, blood oranges and Meyer lemons along the way. Many I have heard of, but in truth I haven’t used a fraction of them. 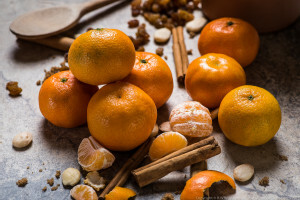 Finger limes, blood oranges, Meyer lemons, and the more usual oranges, lemons, etc, yes but the more exotic citrus fruits I still have to discover. Still, a clementine is pretty special in my book! Cream the butter and caster sugar together. Beat until the mixture starts to go pale. Combine the egg yolks and the water and beat gradually into the butter mix. 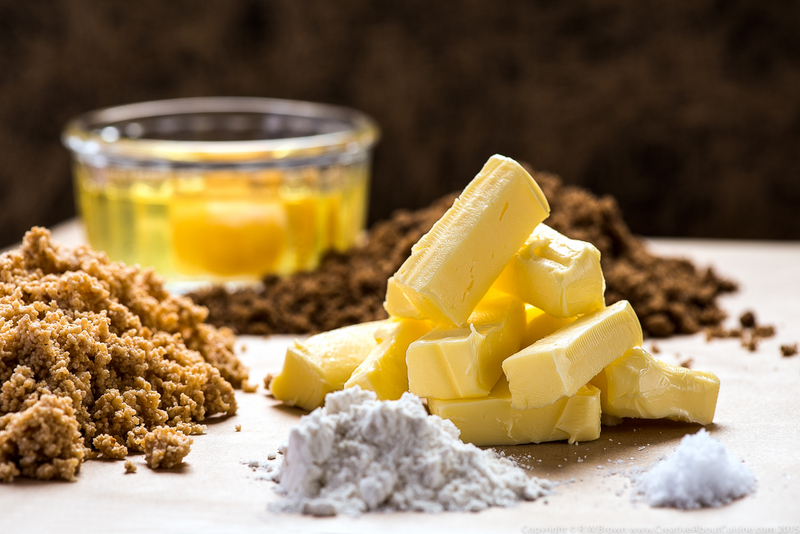 Mix the flours and the salt and sift onto the butter mix. 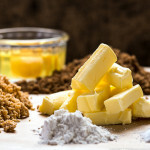 Use a rubber spatula to fold the flour in – you are aiming for dough that is homogenous but has been worked as little as possible. 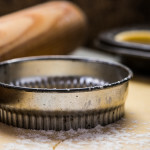 Turn the dough onto a floured surface and bring together into a cylinder. Wrap in cling film and chill for at least 30 mins. 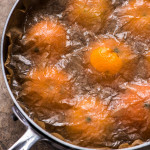 Start by blanching the clementines; cover with cold water, bring to a boil and then simmer gently for 10 minutes, drain and refresh in cold water. Repeat three more times. In a clean saucepan, combine the sugar, water and spices and bring to the boil, stirring to dissolve the sugar. 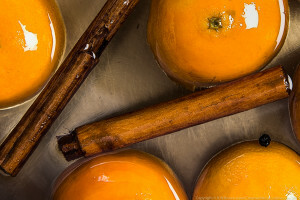 Add the blanched clementines, prick several times with a cocktail stick and cover with baking parchment. 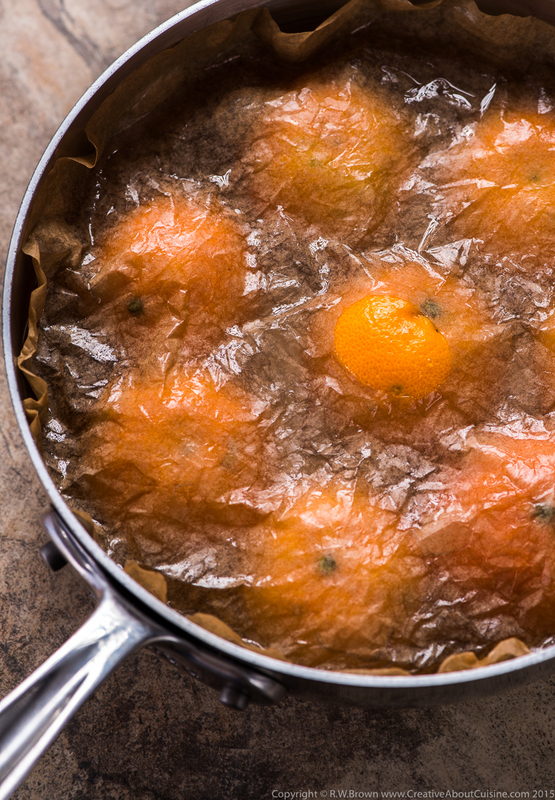 Use a saucer or small plate to keep the clementines submerged and simmer very gently for around 1½ hours. 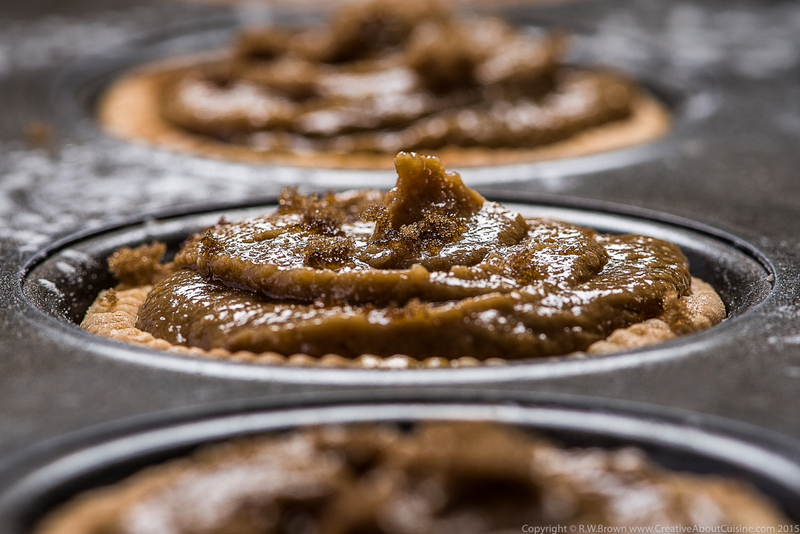 Using a slotted spoon, transfer to a blender and puree until completely smooth. Use a little of the cooking syrup if necessary. 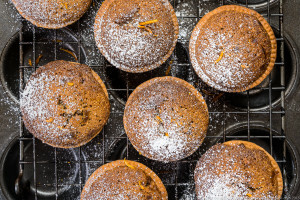 You are looking for a consistency similar to lemon curd. Cream together the butter and sugar. Gradually beat in the egg, adding the flour in stages along with it. Fold in the almonds, spice and salt and combine thoroughly. Transfer to a piping bag. Simmer the sultanas in the cider until all the liquid is reduced/has been absorbed. Allow to cool. 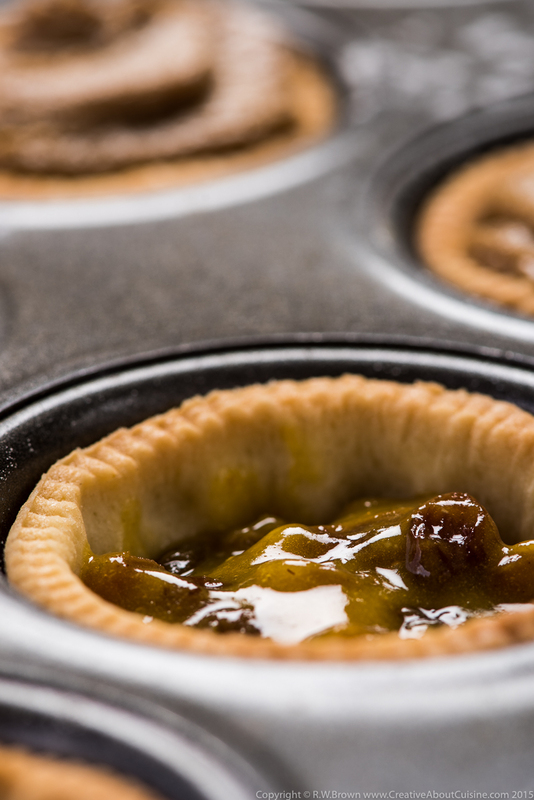 Roll out the sweet pastry to approximately 4mm thick and use to line your chosen tart tin or tins. 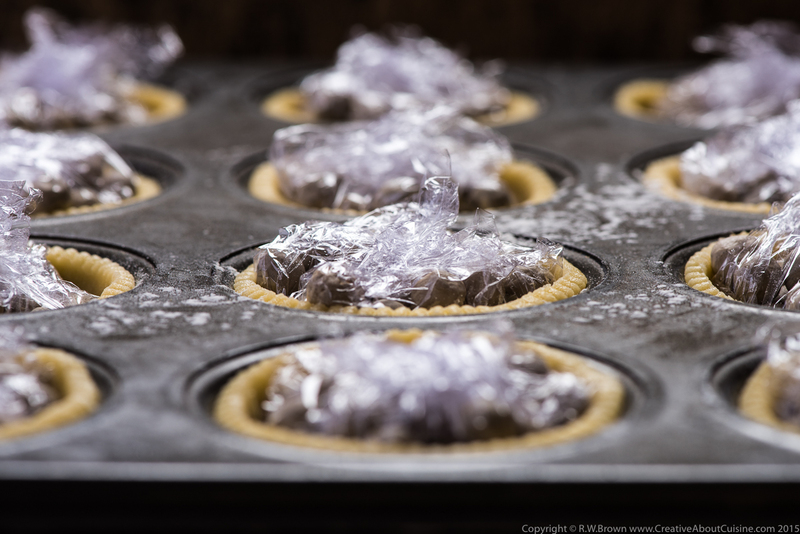 Chill and then blind bake the pastry case or cases at 170℃ until just set and a light golden colour. Add enough clementine confit to the sultanas to create something akin to mincemeat. 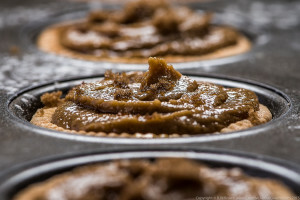 Place a generous teaspoon in the tart shells if individual or spread across the base of the tart if making a large one. 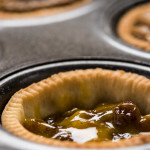 Pipe on the frangipane and bake at 170℃ for around 20 minutes until the frangipane is risen and firm when pressed lightly. Allow to cool slightly in the tin and then remove to a cooling rack. Store in a sealed container at room temperature.